Early last fall I got a call from an excited friend, eager to tell me she'd just bought her first condo and that she wanted my help to make it perfect. Considering I'd been fantasizing for years about creating my own home remodeling and decorating business I just couldn't say no; I jumped at the opportunity to take on my first "client"! When my friend, Kate, started looking for her place she knew exactly what she wanted - a contemporary loft style condo. And she found a great place; a relatively new building (5 years old) built using reclaimed fir on the floors, reclaimed brick on a feature wall and with ceilings in the living room soaring to 17 feet. As great as these features are, some of the materials choosen by the developer's designers have Kate and I shaking our heads. Take a look at these photos. The brick wall is fantastic and so is the Brown Multi slate on the fireplace, but the two materials just don't work together. Certainly it's about colour, but I also feel it's about the urban flavour of the brick coupled with a slate better suited to a classic transitional, less contemporary space. The light maple plywood mantle didn't work for me, either. It "matched" some of the lighter, grained sections of the fir flooring, but overall I didn't like the two wood tones together. I also found that the mantle lacked weight and detracted from the overall drama of the fireplace. In real life, the mantle just seemed slapped on for a quick fix. Both the fir floors (in fact, all the doors and trim in the condo are fir and are stained the same colour) and the light maple can be found in the kitchen, too. The colour of this cabinetry could be fine for an urban contemporary condo, but the style is actually a more traditional shaker. Not the urban look that Kate was interested in. I also felt that the light maple colour caused the kitchen to fade back into the corner. After our first walk-through it was clear to me that to create the urban contemporary space that Kate wanted we needed to do a lot of work... and luckily for me Kate was on board! A little drama, some paint on those bare walls and a few new pieces of furniture, pulled together with a decorating plan. It'll look great!! In future posts I'll show you some of our dramatic transformations - but no hints today!! :-) Okay... one hint... we have a builder coming in next Wednesday to install the new fireplace facade I designed (with a little help from my blog partner Kelly)!! I can't wait to share it with everyone! 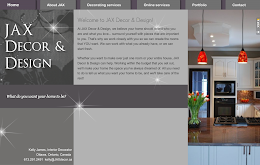 Are you looking for a design solution for a room in your home? Contact me by email and we can discuss your needs! I also can't wait to see what you are going to do. 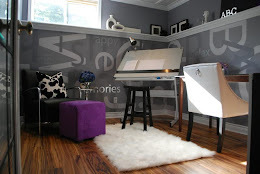 Love reading your blog as you always explain why certain elements in a room dont work together. I see what you mean about the kitchen fading into the background due to the light colour of the wood. Looking forward to reading more about this project. Can't wait to see it!! :) What a fun project! I'm sure whatever you do will look beautiful! Post pictures soon! looking forward to seeing what you are going to do!